(Bloomberg) -- Convene, which provides flexible meeting and working space, enlarged its midtown Manhattan footprint with its biggest lease ever, expanding a partnership with RXR Realty LLC and going after the small to medium-size tenant that industry leader WeWork Cos. has just begun to court. 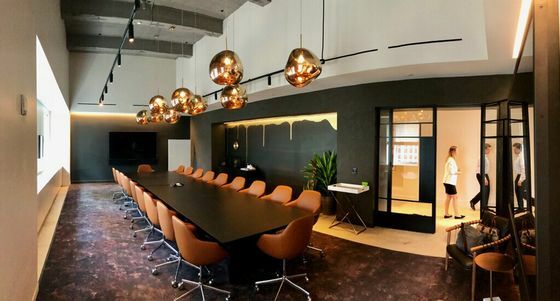 In August, Convene’s much larger rival announced the launch of HQ by WeWork for companies with 11 to 250 employees. Founded in 2009, Convene started out providing solely special-events and conference venues. It wasn’t until February that it offered a flexible-working-space option, which it branded WorkPlace, at Cove Property Group’s 101 Greenwich St. A second New York City site, at Brookfield Property Partners LP’s One Liberty Plaza, opens at the end of the year. The firm on Wednesday also announced its 20th location, just over 28,000 square feet on the 31st and 32nd floors of RXR’s 75 Rockefeller Plaza. Also active in or near Midtown are rivals Knotel and Amsterdam-based Spaces. Knotel announced Tuesday it had finalized four new leases totaling roughly 31,000 square feet in Midtown South. 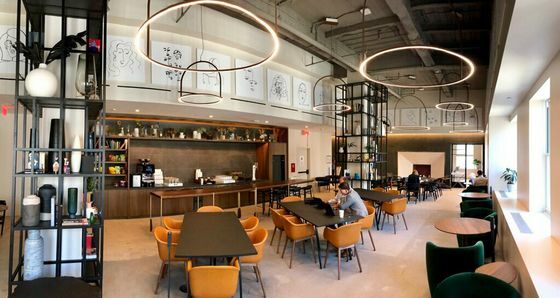 Spaces is planning to double its New York City footprint in one month, starting with the opening of its Spaces Hudson Yards location on Sept. 26.